I work in Conshohocken, and within a hop skip and jump from the office, is Edwards Freeman. It’s literally like being a kid in a candy store. They sell bulk nuts and dried fruits, but also bulk candies, specialty candies, candy ingredients, and random fun stuff. You can find pretty much any candy here, new and old. 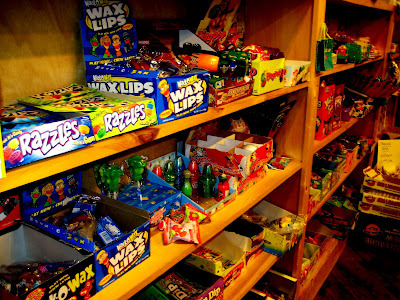 They have tons of throwback candy, like necco wafers, lemonheads, and pop rocks. You can also find some foreign candies and chocolates from across the land. They’re also famous for their homemade peanut butters and stuff. It’s a fun spot to visit. You’d never know it was there unless someone told you. So if you’re hanging out in Conshohocken not near the main drag, then you should definitely stop in. This place is awful. Stale candy. Horrible service. I think you need to revisit. 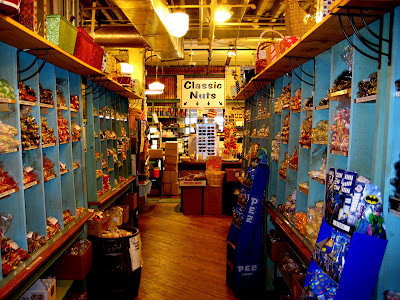 I have to say that EDWARDS-FREEMAN NUT COMPANY is the greatest nut, candy, chocolate store that i have ever been to. They have everything in the world, it is just devine, and great customer service. they will do anything to full fill your needs there, the freshest stuff. I love your blog. Although I’ve been a lurker for some time, I decided to write to you. Like you, I work in Conshohocken, where the good lunch options are few. If you don’t know, the Conshohocken Farmer’s Market is every Friday from 10 am to 2 pm, June to November. I understand that starting this week, there will be several new vendors, including those selling BBQ ribs and other lunch food. It’s a great place to pick up some local produce and I hope the lunch options will be good. It would be great if the farmer’s market could draw enough people to attract even more produce vendors.